Rotarian Louis McCray shares the book he selected with the students. Rotarian Art Brown and his wife Caroline share their book choice with the students. 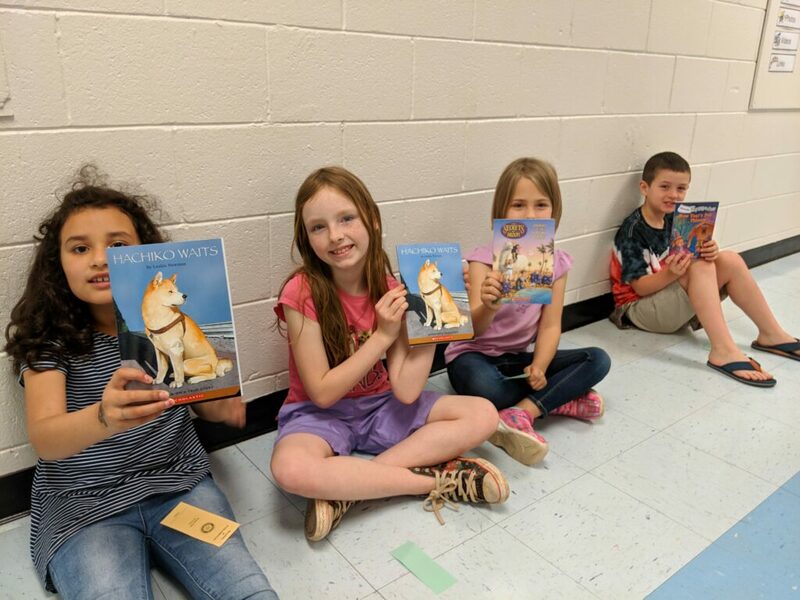 The Rotary Club of Tryon visited Polk Central Elementary School last week to bring this year’s final installment of the Reading is Fundamental program. 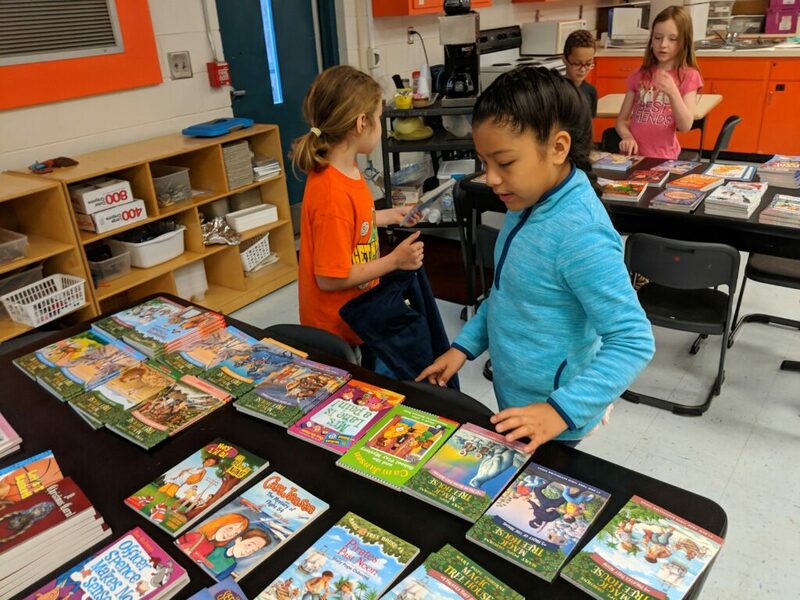 Each year, the Club provides all of the students at Polk Central Elementary with 3 books the students get to select and keep as their own. 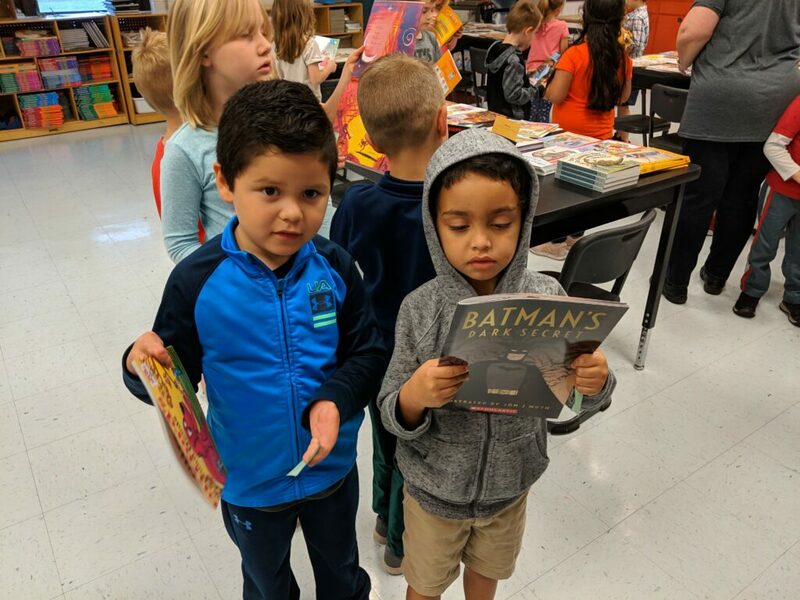 After the students select a book, they “check out” with the Rotary members. 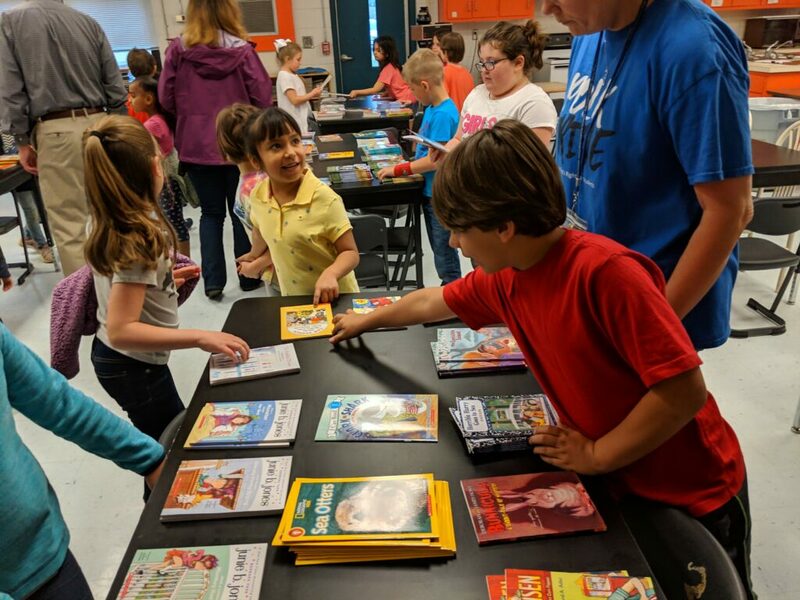 Polk Central Elementary students take home almost 1,200 books each year as part of the Reading is Fundamental program. 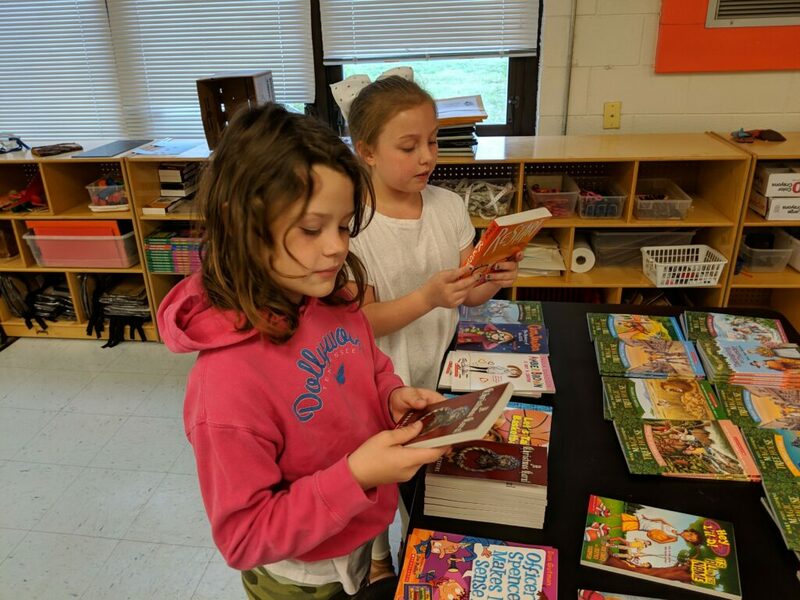 If a student attends Polk Central Elementary for all grades, he/she will develop a home library of over 20 books. 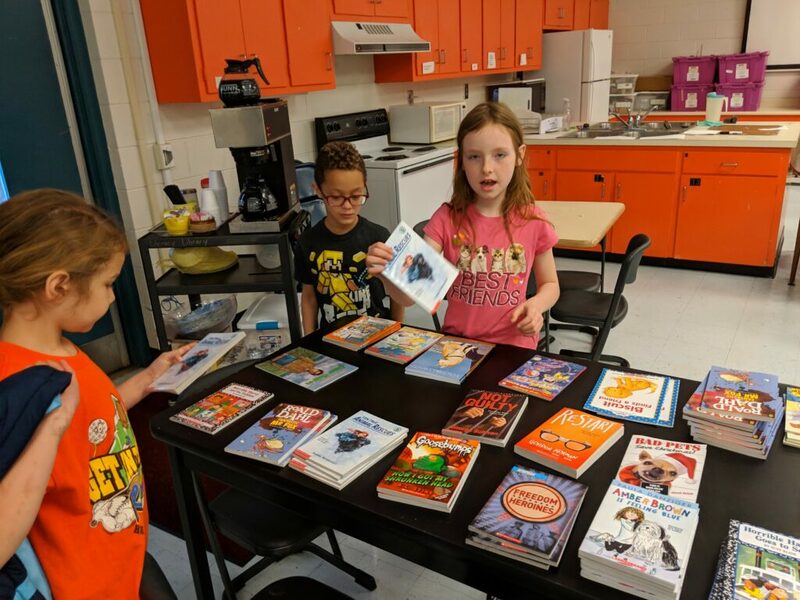 Rotarians Ken Shull and Art Brown work with Rotarian, and program organizer, Carolyn Jones to check out the books students have selected. The Rotary Club of Tryon will be partnering with the Community Chorus to help sponsor their Spring Concert. The concert will be held at 3:00 PM on April 28 at the Polk County High School auditorium. Proceeds from the ticket sales help sponsor Rotary programs like Reading is Fundamental. Tickets for the Spring Concert are available from any Rotary member or at the door. Rotarian David Hosick shares the book he selected with the students.